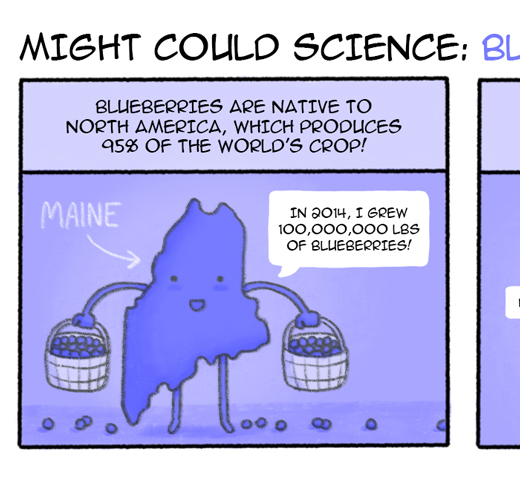 I’ve begun a new series, called Might Could Science, where I’ll be posting a science based comic every week! You can follow the series here on my blog, as well as on Twitter and Instagram with the hashtag, #MightCouldScience. 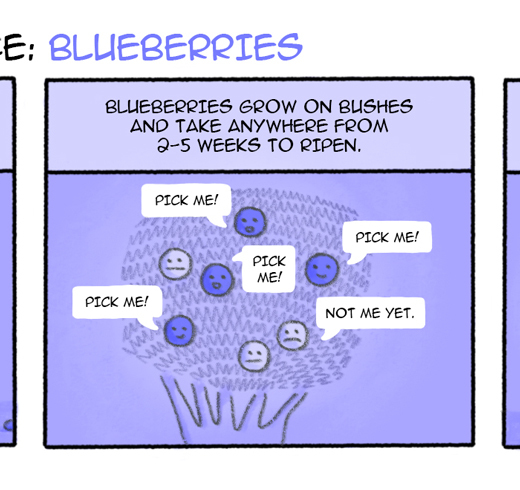 This week’s comic is all about blueberries! 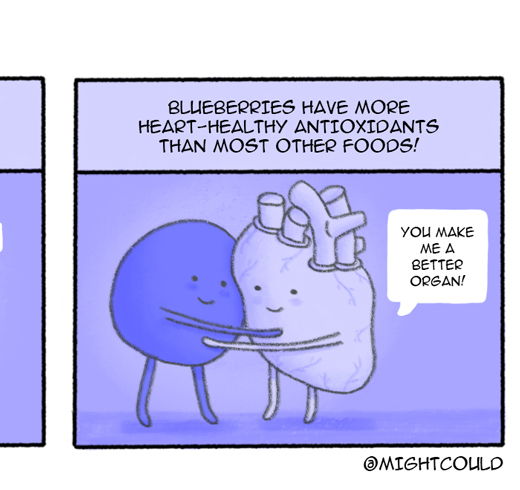 I went blueberry picking on Saturday and picked WAY too many and now have blueberries coming out my ears. So I made a comic about them!